What a spin class taught me about grit. I recently went to my first spin class. It was terrible. It was awful. It was painful. I left tired, almost crying, and I felt like a complete failure. 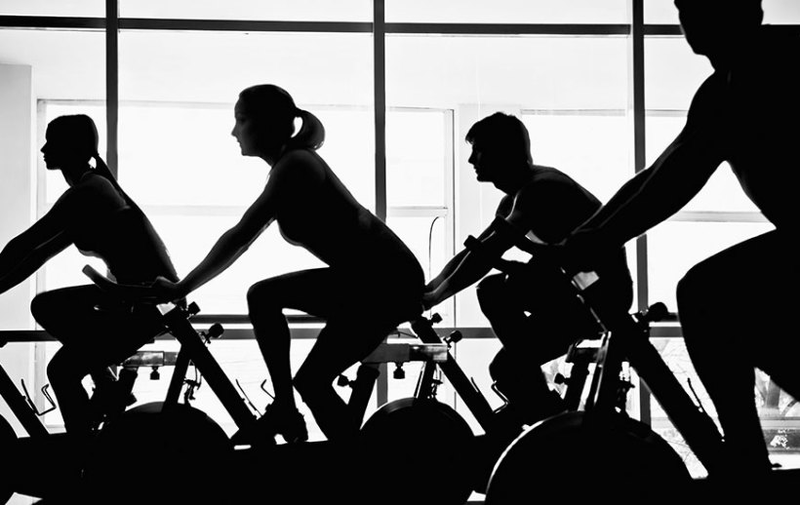 If you have ever taken a spin class for the first time, I am sure you had no idea what you were doing. My thoughts were, “Oh I ride a bike for 60 mins?” “I can do that!” Well, it is not that simple. First, you rent shoes that look like bowling shoes but with metal clips on the bottom. You rent because someone at reception stares at you when you ask them why you can’t wear your own shoes. Next, you have to adjust the bike to your height. No one helps you because you have convinced everyone you have done this before. Third, you have to clip your shoes into the bike pedals. I tried for about 5 mins before the woman next to me had to intervene and help. Then, you go for the ride of your life with loud music in a dark room and the instructor shouting instructions at you that you don’t understand. You stand and pedal, you sit and pedal, you pedal until you can’t pedal anymore. Somehow weights become involved and you are falling over at the end wondering how you are so out of shape in the first place. (I think it is the wine habit). I finally figure out how to unclip my shoes and leave a sweaty mess. I get in my car and I cry. I cried because I was out of shape. I wasn’t the best one in there, I was the worst. I also wasn’t sure I wanted to come back because I simply wasn’t good at it. I take myself home, I shower and decide I need to buy some more books to read because I love to read. I pick up a book titled: “Grit The power of passion and perseverance” by Angela Lee Duckworth. This book is fantastic if you haven’t read it before. I spend the rest of my afternoon reading this book. I get about half way through and I realize: I am not good at spin class because I have only done it once! I no longer have the grit I once had. I know what you are thinking. Obviously, you need to practice more. Or you are thinking, find something else you like! I was thinking, I have to go to this class until I master it. I want to be the best one in there. I want to be in shape! I want to succeed at this because I have always been good at what I do. I figure out things others can’t very fast and I am a natural at picking up new skills. This was the first time in a long time that I felt challenged. It felt awful and the bottom line is, I was spoiled and comfortable. When you are comfortable, you are no longer challenging yourself. I sign up for another torture session of spin the next day. I know how to clip my shoes in, I know how to adjust my bike, and I still can’t keep up with the women in the class. After class, I speak to a woman that does spin at least three times a week. She is a rockstar! She knows all the moves and is so good in class. She is fit and very upbeat. I ask her how she is so good at class and if she has any tips for me. She tells me the first time she came, she went home crying and did not go back for several weeks. She told me it took a long time for her to get so good at this class. She is finally getting to a point where she is comfortable in class and can keep up with the instructor. Hearing all this, I decide to focus myself and dedicate myself to becoming really great at spin class. This goal may seem trivial to some but to me this was a new challenge for me and I had to succeed. I finally finished reading the book and realize that I am very high on the grit scale. I don’t give up and I know that the more you practice something the better you get at it. I was a huge believer in focus on what you are good at. After reading this book and taking this spin class, I now believe on focusing what I am not great at and getting better. Staying in my comfort zone for so many years made me not reach high enough towards my goals. After about a month of spin classes, I am happy to report, I am still not very good at it but I am getting better every time! If you are reading this, you are good enough, you are smart enough, you are going to be successful beyond your wildest dreams. The only thing you may need more of is some good old fashioned elbow grease and a healthy dose of grit. Get out there, try something new. Meet new people, sign up for a marathon, go rock climbing, eat something you haven’t eaten before. One thing I know for sure, you might run home crying at first but you did teach yourself how to walk when you were younger. Now look at you, walking every where. Well well aren’t you fancy with your fancy shoes and your fancy walk! Shania Khan is the CEO/Founder of for the love of people consulting group. A consulting company that focuses on brand building and teaching companies how to treat their most valuable resource, their employees. She has over 18 years of experience in sales, marketing, and brand building. She resides in Houston TX with her husband and two fur babies.